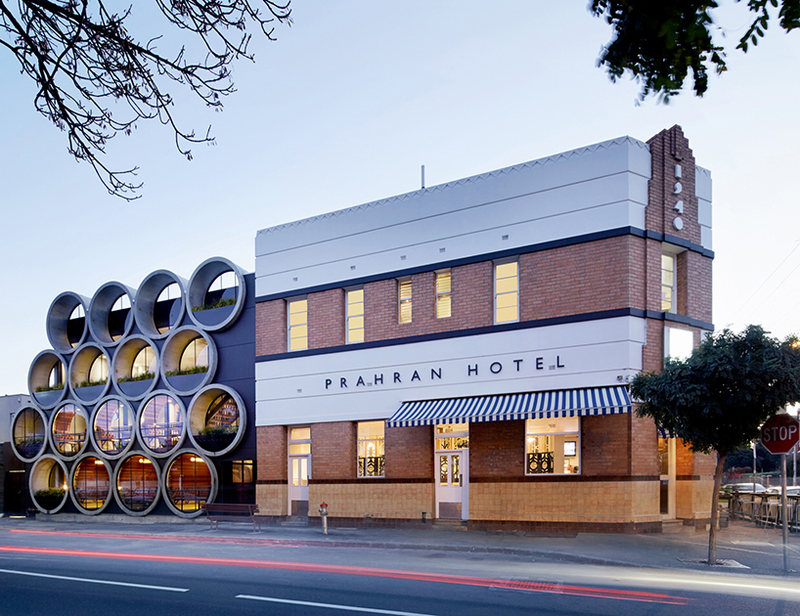 melbourne-based techne architects were commissioned to renovate the ‘prahran hotel’ in westgate, a corner pub fitted with a classic art deco facade and a one-story extension at the back of the site. as the client called for the demolition of the single-level addition to be replaced by a more dramatic two story atrium space, the architects sought out a new approach to fulfill the client’s needs. 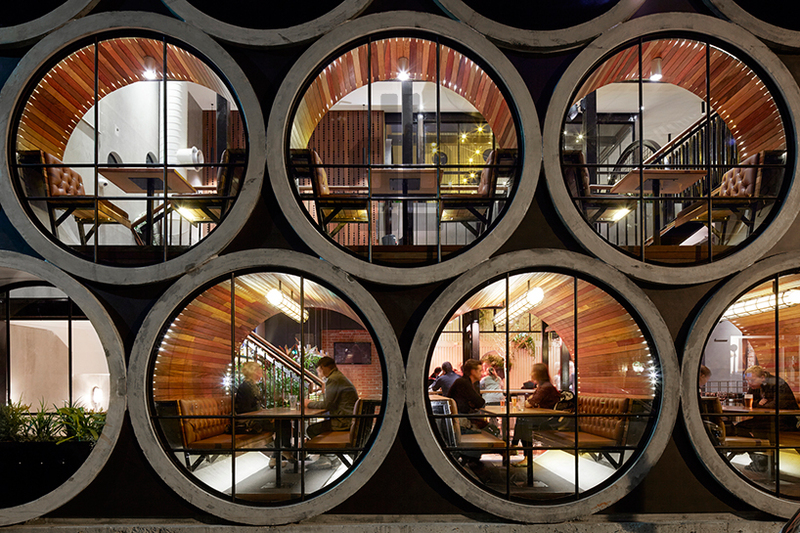 the idea to use precast concrete pipes made sense on many levels: they possess a certain sculptural quality that brings a sense of image to the pub, they can be instrumental in naturally subdividing spaces into more intimate areas, and from the exterior could be recalled as a stack of kegs or barrels. opposite the tubes, a full-height steel and glass atrium cuts through the space to visually combine the various programs. 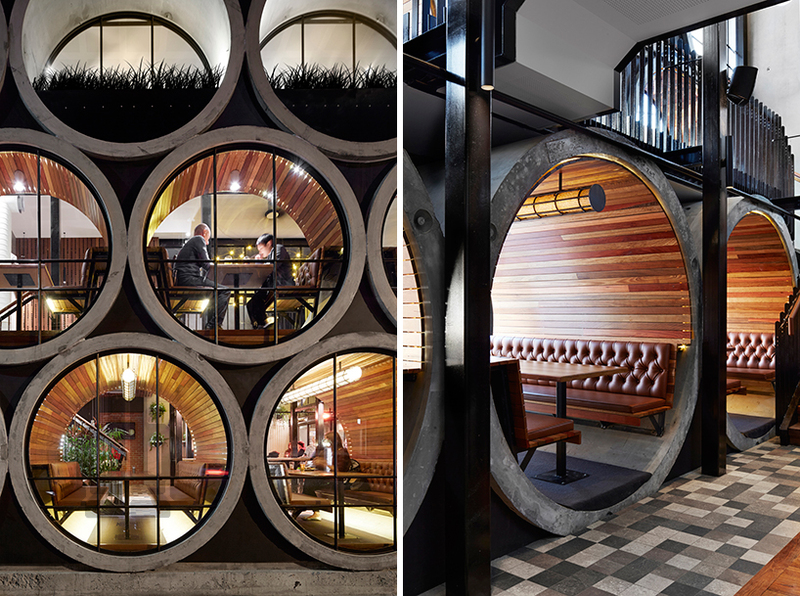 the timber plank-clad tubes now serve as more private tables while the atrium floor offers a more open flexible floor plan for larger groups and events. 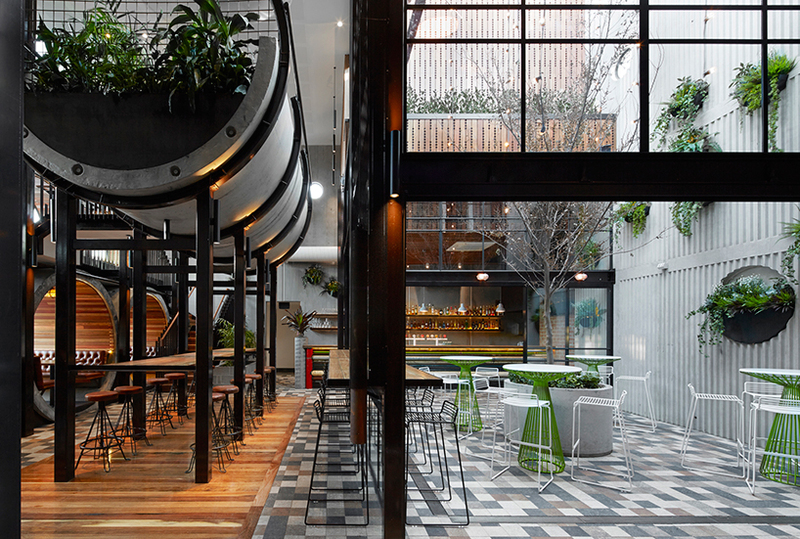 structural material was left exposed juxtaposing the warmth of the wooden highlights and the vibrancy of the green plants hung throughout the spaces.